Committed to providing exceptional care. At Medland Dental we’ve gathered an extraordinary team of professional, highly skilled, committed, passionate, likable individuals to deliver our commitment of technical excellence combined with exceptional care to our patients. All are University of Queensland or Griffith University graduates and live locally. Dr Fiona Lillicrap graduated from the University of Queensland, having completed her Bachelor of Dental Science with honours in 1990. After completing her studies, Dr Lillicrap returned to her home town of Townsville, where she worked in a busy private practice for a number of years. She joined Medland Dental in 1994. 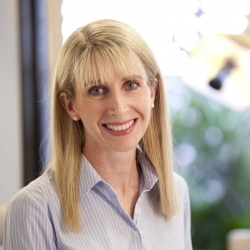 Dr Lillicrap is committed to keeping up with developments in all areas of dentistry and is an active member of the Australian Dental Association and Pogonion professional study club. She has a particular interest in preventive dentistry, crown and bridgework and oral surgery, including wisdom tooth removal. The majority of Dr Lillicrap’s time outside of work is spent with her husband, Mark, and their three children. With their children involved in many school and extracurricular activities not much of Dr Lillicrap’s time can be described as spare. She does however enjoy running, swimming and Pilates. As a family they enjoy boating in Moreton Bay. 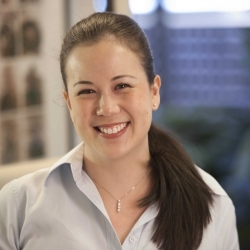 Dr Sarah Kam completed her Bachelor of Dental Science with first class honours from the University of Queensland and was awarded the University Medal for academic excellence. She joined the team at Medland Dental following her graduation in 2001. Dr Kam has a great interest in all areas of dentistry with a particular interest in crown and bridgework, implant dentistry and endodontics. Dr Kam is committed to always offering the highest standard of care to her patients whilst caring for her patients’ needs with her kind and gentle manner. Dr Kam continues to keep up to date with the latest advances in Dentistry with regular attendance at postgraduate courses. She is an active member of the Australian Dental Association, Australian Society of Implant Dentistry and Australian Society of Endodontology. Dr Kam has attained Level 3 Accreditation with the Australian Society of Implant dentistry and currently serves on the committee of the Australian Society of Endodontology (Qld Branch). Outside of work, Dr Kam and her husband, John, enjoy travelling and dining out. Dr Kam also enjoys gourmet cooking, skiing, Pilates and hot yoga. Dr Ian Morrison is a graduate from the University of Queensland where he completed his Bachelor of Dental Science with first class honours and a number of awards. Dr Morrison takes a great interest in all aspects of oral health but has a passion for crown and bridge dentistry. He finds it immensely rewarding to be able to enhance his patients’ quality of life through dentistry. He has also attained Australian Society of Implant Dentistry level 3 accreditation. 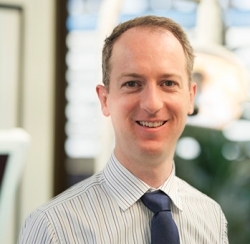 Dr Morrison is devoted to providing an exceptional standard of care to his patients and he ensures he keeps abreast of modern developments by attending continuing education courses and seminars. Outside of work, if he is not spending time with his lovely wife Anna and their twins, Dr Morrison loves cooking, going to the gym and has a keen interest in cars. 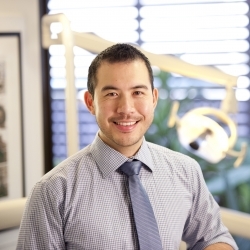 Dr James Yang graduated from the University of Queensland in 2003 with a Bachelor of Science in Biomedical Science before returning to university to study dentistry at Griffith University. Dr Yang worked in the Gold Coast before joining the team at Medland Dental. Dr Yang is committed to providing high quality dental care with a strong emphasis on patient comfort and welfare. He enjoys all aspects of dentistry with special interests in crown and bridgework and endodontics. Dr Yang keeps up to date with the latest developments by regularly attending seminars and postgraduate courses. In his spare time, Dr Yang enjoys spending time with his friends and family, often catching up at his favourite cafes and restaurants. A keen movie-goer, Dr Yang can recommend his latest favourite movies to anyone that is interested. Dr Edward Houston completed his undergraduate Bachelor of Dental Science degree at the University of Queensland and practiced general dentistry in Brisbane and at Stanthorpe for a number of years before deciding to study further in the field of Endodontics. He moved to Perth, Western Australia to complete his specialist training and was awarded a Doctor of Clinical Dentistry in Endodontics. Edward has a specific interest in the diagnosis of cracked teeth and performing complex re-treatment cases. 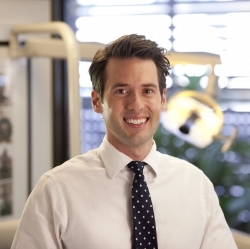 He has practiced as an Endodontist in Brisbane and in Canberra and is excited to be joining Medland Dental. Edward is a member of the Australian Dental Association, the Australian Society of Endodontology and the Australian and New Zealand Academy of Endodontics. He has taught Endodontics at both the University of Queensland and University of Western Australia. Edward enjoys cycling and tennis and keenly follows the Formula 1 World Championship.